Cameron Village is an active lifestyle community in Myrtle Beach, South Carolina. Buyers are drawn to the neighborhood's low-maintenance homes and thoughtful amenities because can find a new or resale home that meets their unique style and requirements. Cameron Village offers single-family homes and attached garden homes. 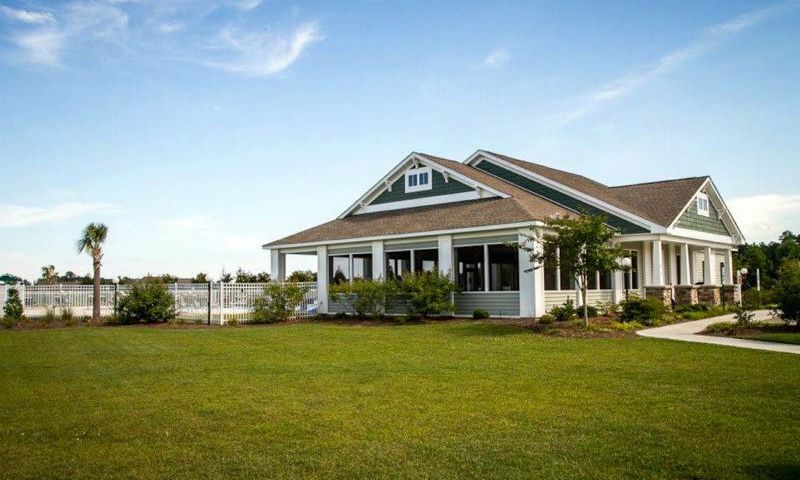 Residents of this wonderful community enjoy easy access to beaches and plentiful outdoor recreation. It's also ideally located near plenty of retail stores, restaurants, and entertainment options. Residents of Cameron Village enjoy private amenities. A community clubhouse is the center of social activity where they can host or attend parties. Homeowners can take advantage of South Carolina's mild climate with Cameron Village's mix of outdoor amenities. Those looking to stay physically fit can swim laps in the outdoor pool, challenge a friend to tennis or basketball, or jog along the walking trail. There's even a playground. Homebuyers in Cameron Village can choose from both attached and single-family homes. The first homes in the community were built around 2005 and Beazer Homes plans to complete the neighborhood with 344 homes. Garden homes are attached residences that range in size from 1,446 to 1,582 square feet. These units have two or three bedrooms, two bathrooms, and an attached one or two-car garage. Detached single-family homes are offered in the Heritage Collection. These models include 2,248 to 3,179 square feet of living space with three to four bedrooms, two to four bathrooms, and an attached two-car garage. The homes in Cameron Village are not age-restricted, and all floor plans include first-floor master suites and low-maintenance exteriors. Cameron Village homeowners live a carefree lifestyle with relatively low homeowners' association fees. This low-maintenance lifestyle is highly attractive to buyers looking to live in the Myrtle Beach area. The combination of desirable homes and private amenities in a prime location makes it a great setting to keep residents engaged. Cameron Village is located off Bay Road and Highway 707 in Myrtle Beach, SC. Within ten miles from the community, residents have access to plenty of shopping at Coastal Grand Mall, Lowe's Hardware, The Home Depot, Murrells Inlet Marsh Walk, Inlet Square Mall, and Target. A variety of entertainment and recreational options are available at Brookgreen Gardens, Myrtle Beach State Park, Ripleys Aquarium, and Huntington Beach State Park. Working adults and retirees looking to find a low-maintenance home with close proximity to attractions and daily necessities should look no further than Cameron Village in Myrtle Beach. Check back soon for more information on the lifestyle in Cameron Village. Garden homes are attached residences that range in size from 1,446 to 1,582 square feet. These units have two or three bedrooms, two bathrooms, and an attached one or two-car garage. These are a great maintenance-free option for buyers. Detached single-family homes are offered in the Heritage Collection. These models include 2,248 to 3,179 square feet of living space with three to four bedrooms, two to four bathrooms, and an attached two-car garage. 55places.com is not affiliated with the developer(s) or homeowners association of Cameron Village. The information you submit is distributed to a 55places.com Partner Agent, who is a licensed real estate agent. The information regarding Cameron Village has not been verified or approved by the developer or homeowners association. Please verify all information prior to purchasing. 55places.com is not responsible for any errors regarding the information displayed on this website.